Northern Europe point geographically to the northern part of Europe, or culturally to the Nordic countries, Baltic countries, and sometimes also the British Isles. Countries in Northern Europe have developed economies and some of the highest standards of living in the world. Nordic-Baltic Eight (NB8) is a regional partnership format that covers Denmark, Estonia, Finland, Iceland, Latvia, Lithuania, Norway, and Sweden. 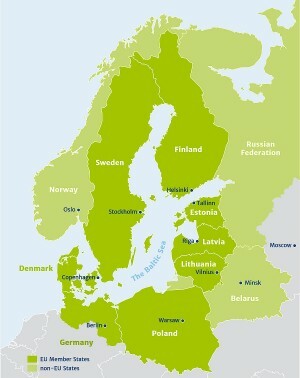 Nordic-Baltic society is one of the three main communities in Northern Europe: these are Nordic, Baltic and Baltic Sea Region. The Nordic - Baltic region has some 32 million citizens, and a combined gross domestic product (GDP) of close to $1.5 trillion, which makes it the tenth‐largest population and fifth‐largest economy in Europe. Furthermore, the region features relatively low levels of corruption; with the Nordic countries some of the least corrupt countries in the world. Also, the countries of the region place well in global freedom rankings, with several of the states at the absolute top. The Nordic‐Baltic countries also do well in surveys that measure the ease of doing business and creating new companies. The Human Development Index places many of the countries in the region among the most developed in the world. The terms Baltic region, Baltic Rim countries and Baltic Sea countries refer to diverse blending of countries surrounding the Baltic Sea. The countries that have shorelines along the Baltic Sea - Denmark, Estonia, Latvia, Finland, Germany, Lithuania, Poland, Russia, and Sweden. Language branches in the Nordic – Baltic region and the Baltic Sea countries are Baltic, Finnic, North Germanic, West Germanic, and Slavic. Nordic-Baltic Translation agency Baltic Media is a leading provider of digital translation services in Northern Europe specializing in Northern European (incl. Nordic (Scandinavian), Baltic, Slavic) languages mostly in translation services from/into Swedish, Finnish, Danish, Icelandic, Norwegian, German, English, Polish, Russian, Latvian, Lithuanian and Estonian. 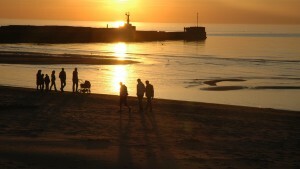 Why choose Nordic -Baltic Translation Agency Baltic Media? Why Human Nordic -Baltic Translation Services is Your Best Choice?